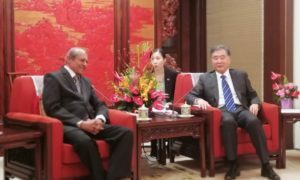 “Sri Lanka Economic Summit 2017,’ organized by the Ceylon Chamber of Commerce, Sri Lanka’s premier business chamber currently take place at the Cinnamon Grand Hotel, Colombo. 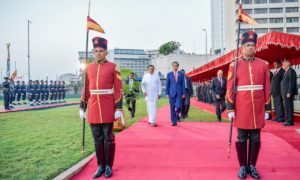 The two-day summit since 25th July 2017 under the title of ‘Execute – Transform – Realize’ discuss eight Thematic sessions, focusing on economic transformation through policy reforms, domestic and global economic headwinds and also how Sri Lanka can adapt to changing scenarios and succeed in a competitive environment. During the two days, over 40 resource persons, consisting of high profile cabinet ministers, policy makers, business leaders and academics take their seats to share insights and also make recommendations on how Sri Lanka can transform its economy to realize its true potential by right execution of plans. 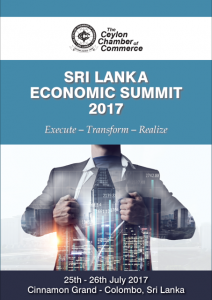 Interesting discussion during the Summit can be watched live on www.economy.lk.